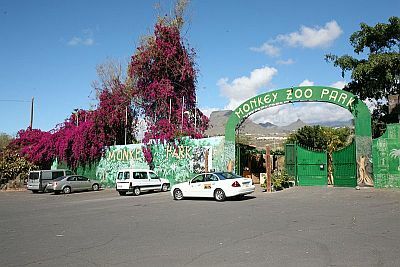 The charming Monkey Park zoo is situated slightly north of Los Cristianos, just off junction 26 of the TF-1 motorway. With less financial resource than other major zoos, like Loro Park, this is a touch more modest in its dimensions, but is, nonetheless, a great way to pass a few hours. Children tend to find it particularly appealing. Straight after the entrance, you'll come to the reptile area, which includes a marshy bog that you can cross on a bridge. There, you'll witness such animals as iguanas and crocodiles. After passing through a "contact" area, you reach the main part of the zoo. 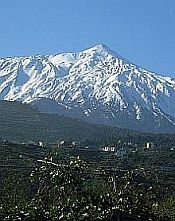 There are exhibits of exotic birds, big cats, such as jaguars. Of course, the park lives up to its name and there are several exhibits of monkeys and apes, with about 20 different types represented. You are actually allowed to walk through some of the enclosures! What makes this zoo such a good venue for a family outing is the fact that visitors are encouraged to interact with some of the monkeys. Children love it, especially when you're allowed to feed them! The zoo sells bags of food for the animals at the entrance. Please be aware that, as it has no merchandising outlet, it relies quite heavily on the money collected from these bags, so, why not buy a few! It's also a good idea to bring some fresh fruit with you for this purpose, too. The animals regard it as a rare treat!